Since 2003 Tile Giant has been sourcing high quality tiles from around the world, providing the latest materials and styles to transform your home. 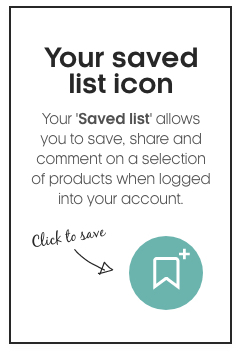 Our ethically and sustainably sourced materials can be viewed in over 90 stores across the UK, and we’re helping you find out more about your local Tile Giant store in Dulwich. 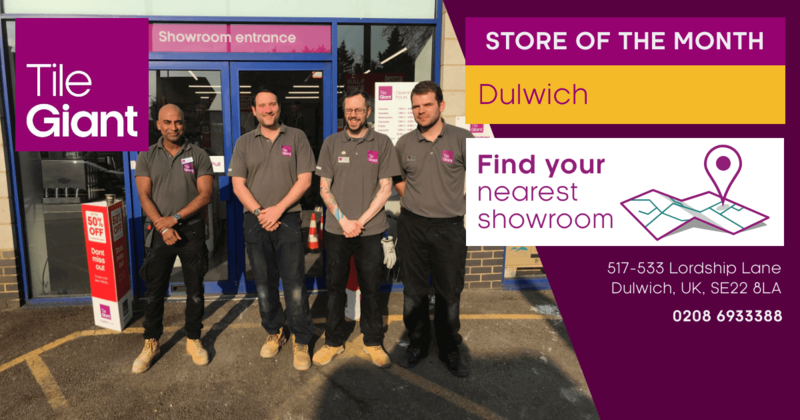 We spoke to Store Manager Trevor Walker, to find out more about Tile Giant Dulwich and how they can help Tile Giant customers find the right tile for their needs. I have been in the tile industry for 15 years, and working at Tile Giant for 9 years and I couldn’t think of a better company to work. I love working with our customers to bring their dream projects to live and I’m passionate about what I do. Chris is our assistant manager who is always looking to surprise our customers with new trends and options that they may never have thought about. Chris has over 5 years experience at Tile Giant and is our resident expert in underfloor heating. 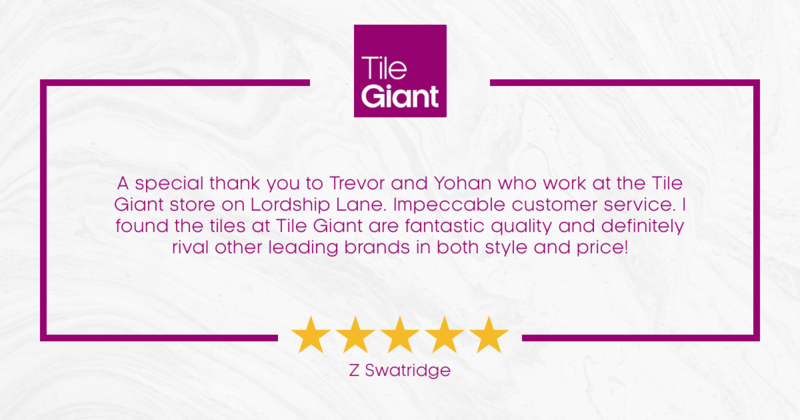 Yohan has over 15 years experience in retail and has been with us at Tile Giant for 3 years now. Yohan is very passionate about getting things just right and is always looking to give the best service possible to our customers. Our newest member of the team at Dulwich is Jack. He has over 3 years experience and is always up for a cuppa and a chat about your project if you pop down to our showroom. If there’s one man who can find the tile you’re after it’s him. How can Tile Giant help customers find their perfect tile? At Tile Giant Dulwich we have a great core range, ranging from our stone effect tiles to the always sought-after Metro tiles. We also have a large range of tiles on display, including patterned, polished and stone effect tiles and our best-selling kitchen and bathroom tiles. Our Mont Blanc and pure white collections are all the rage at the moment in our Dulwich store. What makes Tile Giant stand out over other retailers? Tile Giant stands out as we’re passionate about giving great service. We support each other and love giving advice to our customers and love it when we get great feedback. Our Google Reviews rating is 4.9/5 so we’re aiming to keep our standards high. Tile Giant Dulwich is ideally located just off the A205 and Lordship Lane. There’s plenty of free customer parking easily accessible on site. As with many Tile Giant stores, we’re open for extended hours so you can get the materials you need, when you need them. Our Dulwich tile showroom is open from 7:30 am to 6:00 pm throughout the week, 9:00 am to 5:30 pm on Saturdays and 10:00 am until 4:00 pm on Sundays. Tile Giant Dulwich is also open on Bank Holidays if you’re planning on tackling some DIY over the long weekend. 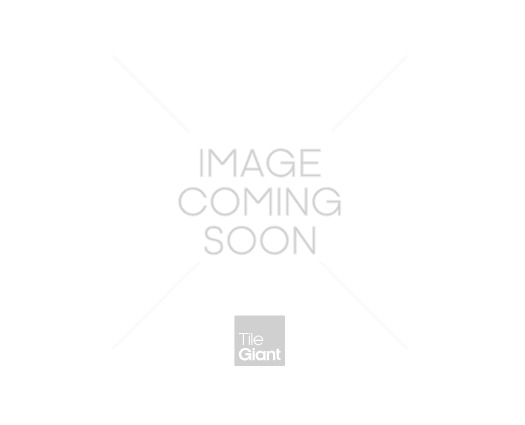 Why visit Tile Giant in-store? When you visit Tile Giant in-store you can browse a huge range of wall and floor tiles for kitchens and bathrooms, showcased in bright and clutter free stores. Speak face to face with expert staff who can help you pick the right tiles, adhesives and quantities to make sure that your job is carried out to budget and without surplus materials. You can also find all the tools and accessories you need to prepare your surfaces, install and maintain your tiles with our Trade Rewards scheme providing great benefits for trade professionals. If you’d prefer to order online you can reserve and collect in store and return excess tiles with our buyback service, but please contact customer services on 0345 307 5000 to arrange this. T Green: The team here couldn't have been more helpful, right through from tile selection to loading the car. Friendly, knowledgeable and helpful - plus a great selection of tiles. Would thoroughly recommend. We'll definitely be back for the next project. P Achilleos: Excellent customer service throughout my visit. Jack worked tirelessly helping me decide. Unlimited amount of coffee. Friendly and extremely helpfu prices are competitive and great offers. Highly recommend. Many thanks.